Computer Service Fort Lauderdale serves any Weston Computer Repair and Service. On site computer repair. Our knowledgeable computer techs can come right to your business or your home. So, if you are located in the Weston area, give us a call and we’ll schedule the visit! Remote computer repair. If you are outside the Weston area but are experiencing network related problems, we might be able to get you back up and running by logging into your computer remotely. Many repairs can be performed within the hour. Problems between local networks. Your computers aren’t talking? We can bring the conversation back to life! New computer setups. Have a new employee and need a new computer workstation? We can get them working in no time. 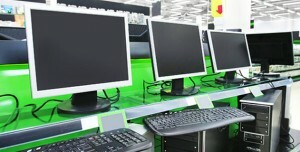 Laptop Repair and Laptop Services anywhere in Weston: screens, motherboards, keyboards, fans, hard drives. NOTE: This list does not represent everything we are capable of…, if you are experiencing a problem that you don’t see on the list, give us a call and chances are we can help you solve it! Call: 954-934-5342 for any computer related services in Weston.